Wifey Wednesday: Are Boundaries Biblical? Setting healthy boundaries: Is that biblical? Or is it modern psychology given a Christian-sounding twist? That’s a question that’s been asked a lot on this blog lately when I’ve talked about the importance of setting healthy boundaries in marriage and in our extended families. I’ve had several commenters say that boundaries are not biblical, a position that I find a little bit strange. If boundaries aren’t biblical, what is the alternative? This is the launch week for my book To Love, Honor and Vacuum (the revised & expanded edition), and in it I talk at length about the importance of maintaining healthy boundaries. And so I thought today it might be worth going over why boundaries are so crucial in our relationships. Carry each other’s burdens, and in this way you will fulfill the law of Christ. If anyone thinks they are something when they are not, they deceive themselves. Each one should test their own actions. Then they can take pride in themselves alone, without comparing themselves to someone else, for each one should carry their own load. Nevertheless, the one who receives instruction in the word should share all good things with their instructor. Do not be deceived: God cannot be mocked. A man reaps what he sows. I love what Jethro says: “what you are doing is not good…You and these people who come to you will only wear yourselves out.” You cannot do everything. Similarly, Jesus set limits on Himself. He didn’t heal everyone all the time; often He left areas where there were still people who needed His help because it was time to move to the next place. He carved out time to pray, away from His disciples, to spend time with God. He carved out time away from the masses, just with His disciples, to train and minister to them. If Jesus had let His schedule be determined by what people needed Him to do rather than by what He was called to do and what He was able to do, His ministry would not have been as effective. He needed time alone to rejuvenate and time alone with God, and He took it. He knew that He couldn’t do everything–even if other people needed Him. He had His limits. Boundaries are also necessary to show us where we have transgressed. Indeed, the word “trans-gression” literally means to “cross” a limit. It is neither emotionally healthy nor moral to live without boundaries. When we do that, we push ourselves too hard and often exhaust ourselves. We allow wrong behaviour to continue. And we enable people to act selfishly by becoming a cover for their actions. When people join Al Anon, or the support groups for other family members of those suffering from other addictions, one of the first things they are told is that you can only change yourself, and you must not take responsibility for changing another person. But at the same time, you must also allow that other person to reap the natural consequences of their actions, or they will not have impetus to change. You must stop enabling bad behaviour. God’s will is that we look more and more like Christ. And so I want to challenge you today: In your family, are your actions encouraging others to look more and more like Christ, or are they covering up and enabling others to look more and more unChristlike? If you aren’t setting healthy boundaries of responsibility, then it’s quite likely that others will be looking less and less like Christ, rather than more and more like Him. 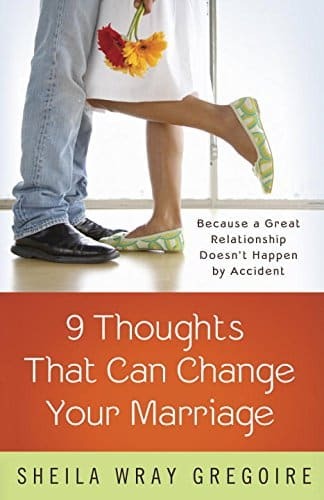 That’s the message of To Love, Honor and Vacuum (the book), 9 Thoughts That Can Change Your Marriage, and of this blog, too! And if you’ve really struggled with this, I encourage you to check out my books, where I help you see how we can live out God’s design that all of us look more and more like Christ–not that we serve so much so that we give others cover to act poorly. Wifey Wednesday: Are You a Spouse or an Enabler? I definitely think boundaries are needed but I think when setting them we need to look long and hard at our motives. Especially in the case of helping extended family with something like age. It is most certainly is a western idea that we cannot care for aging parents and in-laws as well as our own immediate family. We get mixed up priorities sometimes in setting boundaries and it becomes an excuse not to be inconvenienced. Haley, I agree with everything you say here. We must examine our motives for our “boundary setting.” And yes, it is a western idea to put our parents in homes to be cared for. And in the case of caring for our elderly, yes, we do need to step it up and be more willing to sacrifice. HOWEVER, we can’t use another cultures “norm” or family expectations to be our moral compass. Doing things because it’s expected of us is not walking in obedience to God, it’s walking in obedience to traditions, family expectations or cultural norms. Asking God what He is asking of us in a certain situation should be our first step. If God asks me to give every weekend to care for an elderly relative, then I certainly need to be obedient to that. But I don’t do it because my sister asks me to. Maybe my sister need to take it to God and ask what He is calling her to do, rather than decide for herself how each family member is supposed to contribute. That is I believe what Sheila was trying to communicate in that particular post. And I do believe that as we learn to set healthy boundaries, we actually become more free to be generous with our time and resources because we begin to give out of the goodness of our heart rather than the guilt of our head. I love to help people out, but I don’t want to do it out of obligation, I want to do it out of love and generosity… and I truly believe that’s what God desires for us as well. Really good points here from both Hailey and happywife. We do need to step up to the plate more in our culture, in general, to care for our extended families. But on an individual level, as happywife says, it has to be because it’s a calling from God, not from tradition. I also believe happywife’s last paragraph is so true, and let me elaborate on something I said. I truly believe that one of the reasons that the Christian church is not being as effective as it could be in changing this culture is that the women are just plain worn out because we’re carrying each other’s “loads”, and because we are piling too much on our plate that we were never meant to do. If we expected others to act responsibly, and if we stopped overscheduling ourselves, we would have more energy to do ministry; we’d have more time to listen to God and to hear from God; and we’d have more natural opportunities to make a difference. We would be more generous with our time, as you said. So true! Yes! Love this Sheila! One of the reasons I keep my kids extra-curricular activities to a minimum is so that we are home in the evenings to show hospitality to others in our church should we need to. Just one example – I’m sure there are heaps of others, but I think this sort of prioritising is soooo important! huh? sure it is…God expects us to take care (full care) of the elderly and widows who need it in our family. …sounds a bit like you’re setting up convenience here. God has already explained what we need to do with our aging parents, and how we must find a way to work together with our siblings doing so. the primary care giver of the family (there’s got to be one and it’s never gonna be equal), but they must be supported by the rest of the siblings. it’s extremely crucial for full support. It depends, doing things because “it’s expected” is meant in the sense that we should NOT do things when people are TAKING FOR GRANTED that you are going to do it, so everybody else neglects and rejects the responsibility because they know you’ll do it anyway. And there are cases when people can’t afford to take care of their parents at home because they have to work. A friend of mine is single and he is an only child, his mom has dementia and he can’t take care of his mom, so he sent her to a home and visits her a few times a week in the evenings. Some people criticize him for that, but I admire him because he defined the course he was going to take and hasn’t deviated from it. His mom is doing fine, and he has peace. He hears the criticism but it doesn’t bother him. I think that’s healthy. When I was in an abusive marriage I read the book Boundaries by Townsend/Cloud and a woman I knew who led a women’s bible study told me that boundaries were not biblical and I had not right to try and set boundaries especially in a marriage. Being a new Christian, I struggled with that for years to come as I stayed in that marriage out of fear of leaving. I was definitely the one who reaped the consequences of my abusive ex’s choices because I carried the responsibility for both him and I. As a Christian wife I was taught to just submit and respect him in ALL things and eventually he would change, but honestly, how does one ever get the chance to change if someone else is always taking responsibility for what you do? As you say, there are natural consequences in life and that is part of our growing process. One more thought on this. I think we are generally coming from opposite sides of the spectrum. Our belief is generally that people, including women, are too selfish and have too much control over their own lives. Your general idea seems to be that women are too unselfish and have too little control of their own lives. Yes, there is some organization & lack of personal discipline that you are filing under the category of boundaries, but by and large what I’m hearing is that. I’ll stick with my original thesis- that this comes down to our opposition in views of authority and in general what we think of folks being selfish & how much control they have of their lives. Here’s the thing. Everyone has some sort of boundaries. Everyone. Even those people crying that boundaries aren’t biblical. We lock our cars and homes. That is a boundary. It says that we aren’t willing to allow others to help themselves to our things. We (hopefully) don’t allow our children to speak rudely to us or physically hurt us. We certainly set boundaries on behalf of our children. Just let that bully bother my kid and you’ll see some boundary setting! 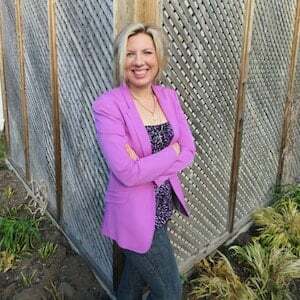 My (recovering) alcoholic husband would be the first to say “set those boundaries! If I choose to drink, you don’t have to allow me to come home. Make me face the reality of my choices.” In fact, in AA they say “It takes what it takes.” What that means is, each alcoholic has to travel their own path to lead them to the realization that they need to deal with their problem. How will they reach this realization if we rescue them from their choice to continue to drink? No, we can’t control their choice to drink, but we can say, “I am choosing to not let your choices affect my own serenity.” Those are boundaries.. it’s not controlling another persons choices, but it is taking control over how you will let the other person’s choices affect you. I love that you used this example. I’ve had to set very tough boundaries on my mother because of alcoholism that she refuses to acknowledge. (It’s a long story, and my decision came after years and much prayer. )Many Christians have scolded me for my boundaries and said I am being unchristian because boundaries are unloving. I’m not convinced a loving Christian equates to a doormat. Actually, Julie, I’m quite convinced that a loving Christian DOESN’T equate to a doormat. 🙂 Good for you! Everyone has boundaries! So good. We need boundaries and boundaries are biblical. I heard a radio talk host tell a woman that she hadn’t truly forgiven her son who has reeked havoc on the family thru his addictions because she doesn’t trust him! Needless to say I was dumbfounded by what he told her! Unfortunately in the ‘Christian world’ many believe boundaries are not biblical and from this many, many are trapped in abusive relationships. Thank you for bringing scriptural truth to the subject of boundaries! Amen, Sheila. I think you did a good job of explaining different aspects of boundaries – the carrying our own load, and reaping what we sow. I think the reason you get such a reaction from the “submission-all-the-time, boundaries-are-sinful” crowd is that they interpret boundaries as being selfish. And I suppose it can be expressed wrongly and selfishly, but that’s not what you or the book suggests. I completely agree that boundaries are biblical and necessary. I love how you separate loads from burdens. My question is this: how should we respond when someone acts as our “moral judge” in all matters? When a good friend offers advice on how you “should” be living your life. I don’t want to hurt anyone’s feelings, but I feel as though I have to walk on eggshells whenever I’m around people like that because I’m afraid I’m going to say or do the wrong thing and get “corrected”. Great question, and I hope others chime in and give you some ideas, too! I’d say two quick things: It’s okay to not hang out with people like that. And it’s also okay, if they try to correct you, to say, “thank you for your thoughts, but in the future I’d feel more comfortable if you asked me first if I would like advice before offering it.” That takes guts to say, and it feels totally rude and uncomfortable, but it’s not really rude at all–it’s just out of the norm. It’s stating your preference graciously, and it’s asking them to respect what is a healthy boundary. If they choose not to abide by that, that is their choice; but you have also made your preference clear. I agree with Sheila on this. I’m amazed when people think they have the right to offer all sorts of advice or even judgment on other people’s lives. No, they don’t have that right, and it isn’t rude for any of us to indicate that we have not asked for their opinion. I’m not talking about husbands and wives discussing these kinds of things, but rather about “friends,” co-workers and extended family members who frequently offer unsolicited advice or commentary on our lives. Oooo! I have family like this… I exhausted myself for years trying to keep them happy until I finally figured out that I was responsible before God only for the ‘loads’ he had given me to carry (eg. my babies… my home… certain things he had called me to do in our church…). Now, it’s either a direct “No” if it’s something I can’t do, or just listen politely and respond with “We’ll think about it/pray about it”. There is also constant judgement passed on anything and everything we do. That’s ok – It is God’s assessment of us that counts, not theirs. I am very aware of my accountability to God and that usually gives me clarity to form convictions and live by them. Thank you for this article Sheila! I can relate to Mary as I have challenging in-laws. Often times I feel like the bad guy because “everyone else gets along with them.” In reality, everyone else just puts up with them. This has often made me really feel like a rotten person and un-Christ-like. Your piece reminds me that respectfully sticking up for myself and my family when unreasonable requests are made on our time and energy does align with Christ’s teachings. That said, sometimes I sure wish Jesus was married because I would appreciate a lesson or two on how he handled his in-laws! Haha! YES!!!! I agree! It would be nice to have a few of those lessons! I as a husband my marriage was sent into turmoil when my wife decide to use boundries as an exsuse for avoiding correction in her behavior. This correction was coming from me, pastors, family and friends. Like all things “;boundaries” can be used well or abused. I think maybe that’s an example of setting Unhealthy boundaries… or maybe an outright misunderstanding of the concept! A healthy boundary is something like, “I expect you to bring up your concerns and corrections with a tone of respect and without yelling”, unhealthy would be “You don’t get to tell me anything I don’t want to hear”! Boundaries are for setting a positive tone and restricting negative influences in our life, not for giving them a safe place to hide. The remedy to this, I think, is not to throw out the concept that people have any boundaries whatsoever, but talk about setting healthy ones. Sheila I love reading your posts. 1.It always has scripture to back it up. 2.I can see christ reflecting on your writing. We also need to be careful not to poison God’s guidance to give up rights and lay lives down by calling it “being a doormat.” 1 Peter 2 has some pretty strong stuff about suffering unjustly. 1 Peter 3:1 directly ties a wife’s submission back to this theme. It’s easy to allow our humanistic (selfish) filters to reinterpret God’s word into something ungodly. We have to be very careful about what is a Godly boundary and what is just humanistic posturing. Very true. But here’s the key thing: when we are called to suffer, we are called to by God. But not ALL suffering is from God. I wrote a longer post on that here. Suffering is only godly when it serves God’s purposes, and very often suffering does not. That’s why we simply must always be seeking God’s will and God’s perspective. I’m pretty sure 1 Peter 2 is talking about external circumstancesover which they had no control – such as a slave with an abusive master, or persecution arising from their faith in Christ. And the passage on wives’ submission is about cultivating and displaying Godly character to win an unbelieving husband for Christ or to glorify God alongside her believing husband (example is given of Sarah). In this passage it seems to me that the thought of a ‘submissive’ spirit is the opposite of an argumentative, abrasive, inflammatory spirit! I would say that these passages are dealing with quite a different subject than Sheila’s article. Boundaries are so hard for me (and most American women) to set. We still have too much of the Puritan work ethic pounded into us at an early age. We are constantly told not only CAN you do everything, but you SHOULD do everything! Be a wife, mother, spouse, workaholic, best friend, good neighbor, charity volunteer, etc. Characters in the Bible are often known for setting boundaries so strict that they restrict themselves—they are THAT passionate for whatever they feel is their true calling. I feel like women, more than men, especially adopt this “do everything” mentality. Not only should we fulfill many roles, but we must constantly be happy and beautiful fulfilling them. It’s just not realistic. I’m a Type-A person, and God is constantly reminding me he only requires two things: for me to love him, and love others. Everything else is just details, but it’s hard to remember that. I love, love, love talking about boundaries. My observation is that many families suffer from dysfunction because of “forced political correctness” versus individual needs. An example of this would be children who are taught that they have no rights and no opinions because they are not adults. These same children grow up to be adults who are “doormats” because they do not know how to express discomfort or when they feel disrespected. Healthy boundaries are an essential part of healthy relationships. And healthy boundaries are motivated by a love for self AND others; as well as an understanding of one’s own limitations. Tend the garden that God has given you and don’t try to take care of everyone else’s yards as well. I believe there are boundaries which are healthy to have and there are also walls which are not. My MIL always talks about us breaking her boundaries but the truth is she never told anyone what they where until after we offended her. Now she hasn’t spoken with any of my family including her own son and grandchildren for almost ten months. This has been hurtful and Wally not necessary if only she would have been clear on what exactly her boundaries actually were maybe we wouldn’t be treating each other the way we are now. I totally agree that boundaries are Godly and the more I read and study His Word, the more I see the boundaries that are established. I think I lot of people get the concept backwards though. We set them for ourselves not on others. If I need to get up early, I must set a boundary on my bedtime. If someone is talking disrespectful, my response is “I will be willing to discuss this at a later time when we can speak calm and respectfully”. If that other person cannot do that then you are released. That is a natural consequence for that person, not me trying to control them. Setting limits for myself in my time, money or anything else God has given puts me in position to be obedient when He directs me to support someone and their burden. Hi sheila and thank you for this blog. I’m wondering if boundaries have any bearing on a situation like this: a mil who demands her dil do the dishes alongside her after dinner at parent’s house? (Not me in case you’re wondering) Or expecting a grown child to spend time with them but never asking directly and then giving the silent treatment when their needs are not met their child? SM, sorry, I didn’t see your question until now! My simple answer would be this: boundaries put up fences around what is our responsibility and what is someone else’s; what falls under our control and what falls under someone else’s control. If you are expecting or demanding that someone act a certain way, then you are trespassing. The only thing we have control or ownership over is our own actions and feelings. That’s the way God made us. If we expect or demand that other people treat us in a certain way, then we are overstepping. Now, we do have ownership over our own thoughts and feelings, and it’s certainly fine to say, “If someone treats me in a certain way, then I will not spend time with them anymore”. That’s not demanding that they do anything; that’s you acting. In this case, the mother-in-law may very well want help with the dishes. And she is certainly right to voice that she would like help. If the daughter-in-law does not want to help, she doesn’t have to. That, too, is her choice (although I do think helping with dishes is just plain being nice if someone else has made dinner!) But then the mother-in-law can also choose not to have dinner parties anymore. Giving the silent treatment is manipulation. It’s trying to change someone else’s behaviour without actually speaking up, and it is wrong. If the mother-in-law wants them to spend time with her, then she should speak up and say, “I would love to see you more often. Can we talk about how we can make that happen?” And if the child doesn’t want to, the child does not have to. But the child must also realize that by not pursuing the relationship she may lose some closeness with her mother. But that, again, is her choice. And that’s the key: we all have our own choices. It’s our responsibility to speak up and state what we want, but it’s also our responsibility to let others choose what they do. And in everything, we accept that our actions do have consequences. Dear Shelia, thank you for this excellent blog especially on this challenging subject. I am looking for a Christ honouring response/ verbal reaction to my MIL who is once again using the silent treatment tactic to punish us for not spending Christmas Day with her. We attend the same church and she will speak in the briefest of sentences if there are witnesses but if not will hold her head up high and blatantly ignore our attempts to communicate. We and the other two adult families have had this treatment for various offences throughout life. We want to respond in a loving but healthy way. We are going to celebrate a belated Christmas as per the wider family’s original group decision on New Years Eve, so any tips would be very gratefully received. God bless you in your ministry. Coralee, I read your question and can immediately relate from different perspectives. It sounds like her behavior is coming from a deeper feeling. My thought or suggestion would be to have your Husband talk to her and just listen to her feelings without judging the behavior. With that said, he may say we have noticed XYZ and I’m wondering if we can talk about how you are feeling this year with how the plans worked out. Hopefully when she is heard and “feels” heard it may resolve the behavior. If that conversation can occur before the family time and give her a day or two to process it then it may turn it all around. Merry Christmas!! So I’m in a predicament where my mother-in-law and brother-in-law is living with us. My husband never asked me if I was ok with it, my mother-in-law has a house that she owns, my brother-in-law does nothing all day but go to one class in the evening at the college. I’m fed up because I am not only a wife and mother of three children under 6 but I am also a full-time student, homemaker that does all the cooking and cleaning because no one else helps out, I work on-call, I do community service as a requirement for my scholarship, and I have a three year old home with me all day. I don’t know where in my busy schedule that I’m supposed to have time to concentrate on homework besides staying up until 11 pm when everyone is sleeping. Did I mention I have a mother-in-law that wakes up at 4 am everyday talking loudly on her phone to her son’s father who is in prison. I really would like to know what the bible has to say about burdensome in-laws while we are trying to raise a family on our own. My husband is gone for 13 hours of the day because of his job so he is never around to help me out with the kids or house work. I would really appreciate feedback biblically because everyone in this house claims to be christians but only follow what they want to follow from the bible. You said your husband never cleared this with you. You need to address it with him, and insist on meeting with a therapist or wise Christian couple together to talk it out. I am sure there is more to the story, but it seems wrong of him to ask this of you without previous discussion. My life started to turn around when God started to talk to me about boundaries…. Boundaries to manage my time, my relationships and my expectations of myself etc. It spoke to me in a way that if we accept that we are not “limitless” beings (in every area of our lives) same as he did put boundaries to the land he created boundaries for us as his creation. To accept them forces us to seek him (because we accept that we can’t do all by our own capacity, strength and willpower) and we will find him in a new way in our limits, as we accept to rest “in him” and moove “in him”… Without running ahead by trying to live without limits, thinking thats what christians should do. As you pointed out so wonderfully Sheila!! Thank you. Learning about boundaries was a walk of sorts for me. Swinging from one side “no boundaries” fueled by the belief that a loving, true Christian woman becomes unChristian and unloving, by saying no or setting boundaries. I read the book the Best Yes. Which helped me realize that saying no, meant making room for God’s Best Yes, to me and others. (ultimately). I did get labeled unloving, unChristlike as I began to balance and work through this and unravel the damaging idea that I as a Christian woman had to allow and endure sin against me, or suffer the label of not being loving. I love the statement that we test our actions and rely on God. This paragraph was my daily existence. Let’s say your husband is prone to rages. He’s sowing discord and anger. But if you and the kids walk on tiptoes around him, trying to placate him, and then when he does yell, you apologize and try to repair the relationship, you’re the ones who are reaping that discord, not him. It was a counselor who helped me realize this was a merry go round that I had to step off of and it was painful at first in a different way. But in the end each person under this umbrella began to carry their load. As a matter of fact my counselor said to think of anothers load as their work. And their work was like a big rock on the floor in the middle of the room and it was theirs to pick up and handle, not mine. I had to work at leaving it on the floor, even if it made it harder for a bit. I prayed often to keep my motives and heart right. Struggled to balance and learn. And today am much healthier. Sometimes others do not join in the healthier relationship and move on to repeat the cycle. But that’s ok. There is a whole book on the Christian perspective of healthy boundaries. It’s called “Boundaries: When to Say Yes, How to Say No to Take Control of Your Life” by Henry Cloud and John Townsend. It’s an excellent book that goes very in-depth on this topic. This is such a helpful blog! Great points. I’m definitely sharing this! My family is going through an extremely difficult situation. My husband’s 13 yr old son came to live with us about a year and a 1/2 ago. At the time my husband was recovering from a drug addiction and we were dealing with a lot of damage in our relationship- nowhere near ready to take on a difficult kid. Since then, his son has wreaked havoc on our home and marriage. My husband is very weak at setting boundaries on his son’s behavior because he is dealing with so many emotional issues of his own. I love my husband and want to see him grow and heal, but his son is taking up so much time and attention. I want him to go back to live with his mom’s side of the family. I want my husband and daughter and me to be a happy family, but it’s impossible when his son is around because his behavior is so bad. When he’s not home we enjoy our time together as a family. When he walks in the door the tension immediately rises. Everyone is telling us we need to keep him with us because it’s the right thing to do, but I just want my family back and feel so helpless. I have threatened to leave my husband if he doesn’t send his son back- not because I want to lose my marriage but because I’m tired of living this way. People tell me it is selfish not to accept his son into our family, but I can’t stand his behavior and how he has taken all the joy from my family. What is the right thing to do here? I’m very sorry you’re in so much pain, and I can just imagine the turmoil in your house. However, when you marry someone who already has kids, you “marry” their kids, too. You have to pledge to be a parent in every way to those kids, because those kids’ needs come first. Always. And often the very reason these kids are messed up is because of the divorce in the first place. That can do tremendous damage to a child. I assume that the reason the boy moved in with you is because there are troubles in the mom’s house. That means he needs you. Yes, your life would be easier without him. Yes, your husband’s healing may come faster. Yes, your daughter may have a better life. But none of those things are options, any more than getting rid of your daughter is an option. He is your husband’s son. Do not stand between your husband and his son. If you do that, it shows a very warped set of values. Boundaries are not just about deciding what to say no to. They’re also about understanding what you should be saying yes to. This boy is something you should be saying yes to, unless he’s abusive towards your daughter. 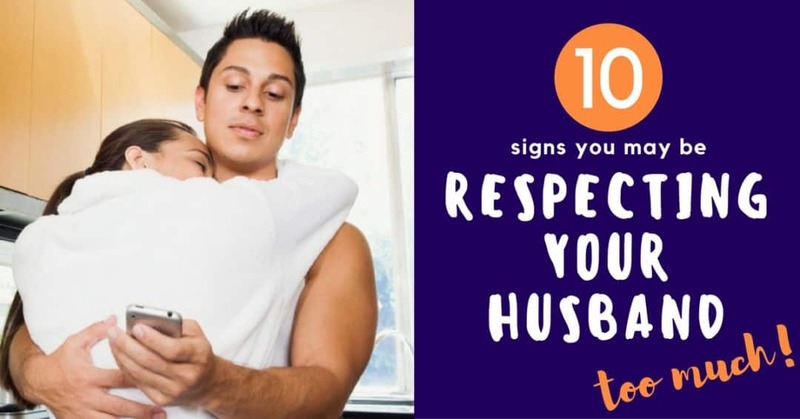 And so it may mean that you have to say no to a whole lot of other things in your life to devote the time needed to sorting him out and your husband out. But unfortunately, that’s what you signed up for when you married, and the world is a better place when people keep their promises. If it’s just too much for you, then I strongly recommend being the loudest and biggest advocate for help. Knock on social services doors constantly and ask for help. And join a good church where you can find some good friends and support. It’s okay to say it’s overwhelming. But you can’t give up on him. You really can’t.